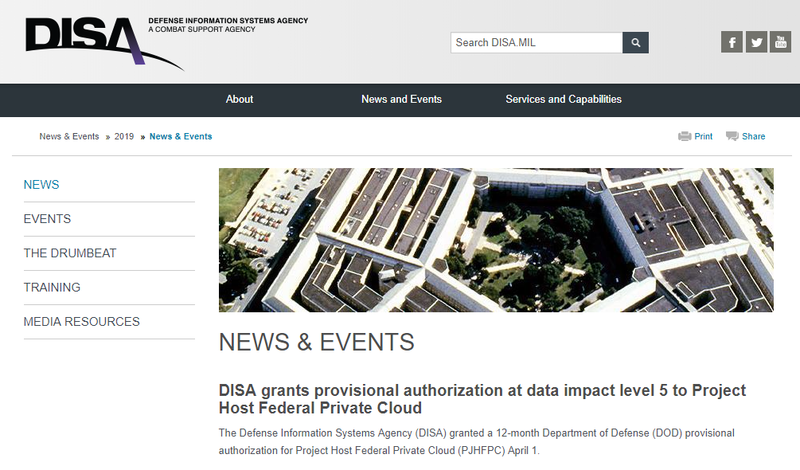 The Defense Information Systems Agency (DISA) has granted Project Hosts’ Federal Private Cloud with a provisional authorization at data impact level 5. Project Hosts becomes the fourth company and the first company with under 100,000 employees to gain a DISA IL5 PA. Other companies with this clearance level include DoD, Microsoft, and Oracle. Project Hosts is a Cloud Service Provider that provides a variety of government services. Project Hosts is the only small business to acquire this high security standard. It highlights our dedication to security and delivering top of the line cloud services. Project Host has worked hard to earn this security standard.